Born at Toronto, Ontario on 31 May 1919, son of Milton H. Bingeman (1880-1966) and Frainie A. Reesor (1880-1972), he was always known as Reesor. His family moved to Winnipeg in 1920 where he attended Robert H. Smith School and Kelvin Technical High School. His studies at Queens University (Kingston, Ontario) were interrupted by the Second World War. In 1940, he enlisted in the Canadian Army and was commissioned as a Second Lieutenant. He went overseas and served with the Winnipeg Rifles, Saskatoon Light Infantry, and Lorne Scots in Italy, Germany, Belgium, and Holland. After his military discharge, he returned to Winnipeg and worked successively for Great West Life, Commercial Insurance Agencies, Bingeman Insurance Agencies, and Armstrong and Taylor. He retired in 1979 as the Winnipeg Manager of the Mercantile Department at Reed, Shaw Stenhouse. 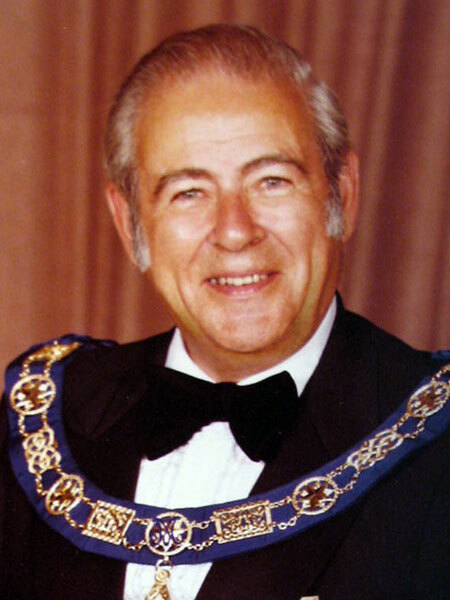 An active Mason, he served as Grand Master of the Grand Lodge of Manitoba (1979). He spearhead the Masons Care campaign which provided funds to purchase cars for transporting cancer patients in Winnipeg to and from their homes and cancer treatment clinics. He died at Winnipeg on 31 March 2011 and was buried in the Brookside Cemetery. Obituary [Milton H. Bingeman], Winnipeg Free Press, 12 October 1966, page 42. Obituary [Frainie A. Bingeman], Winnipeg Free Press, 25 February 1972, page 27. Obituary, Winnipeg Free Press, 6 April 2011. “They shall not be forgotten: Manitobans who made a difference” by Kevin Rollason, Winnipeg Free Press, 31 December 2011. We thank Craig Bingeman for providing information used here.